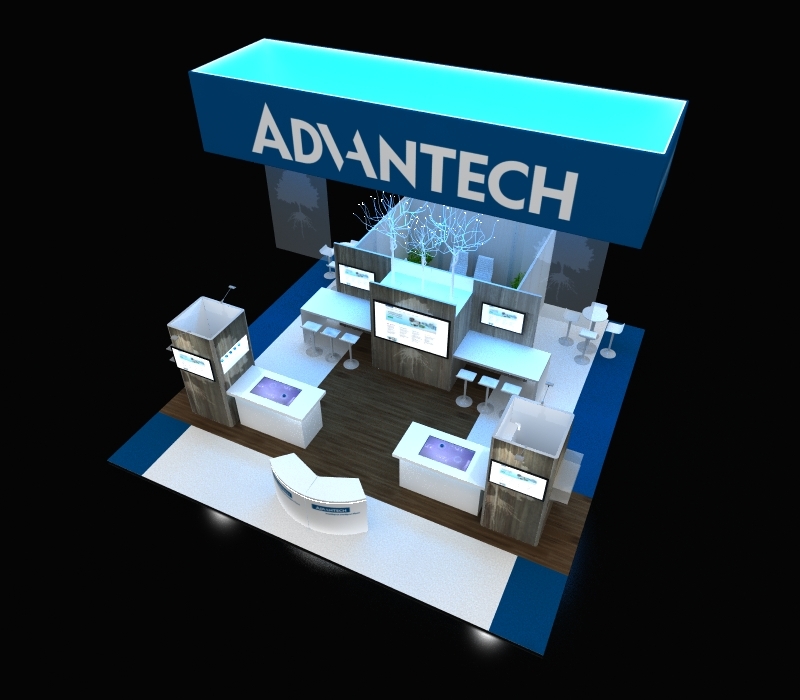 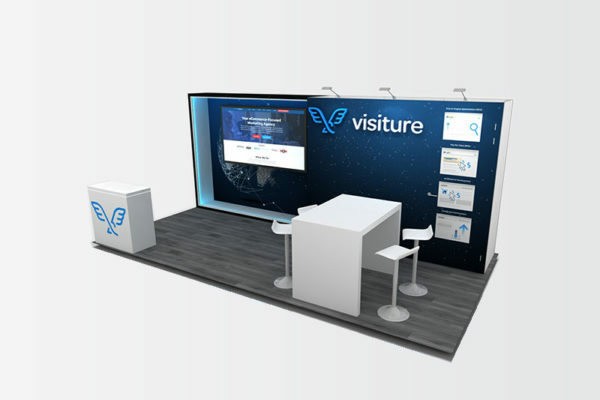 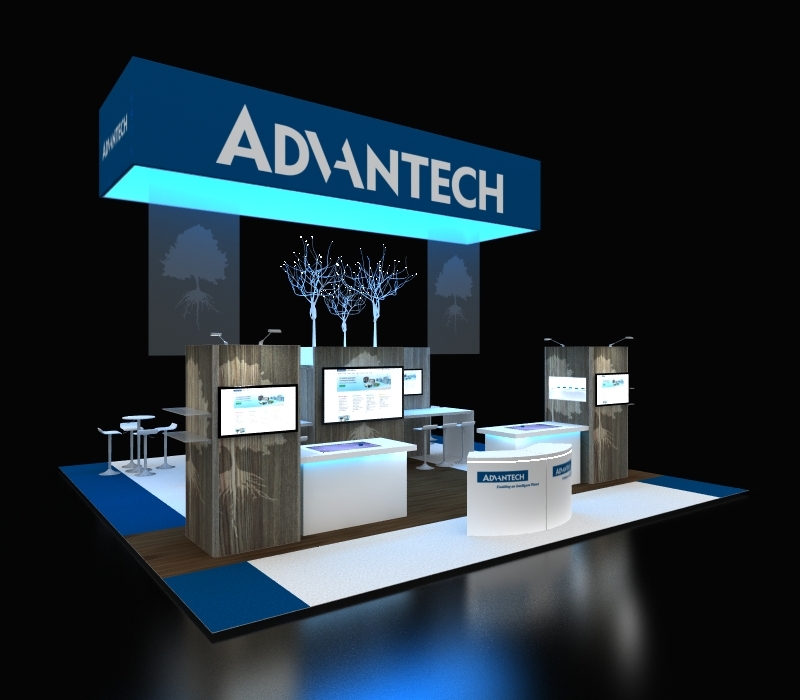 Create a custom trade show display like no other with this 30 x 30 island Advantech booth. 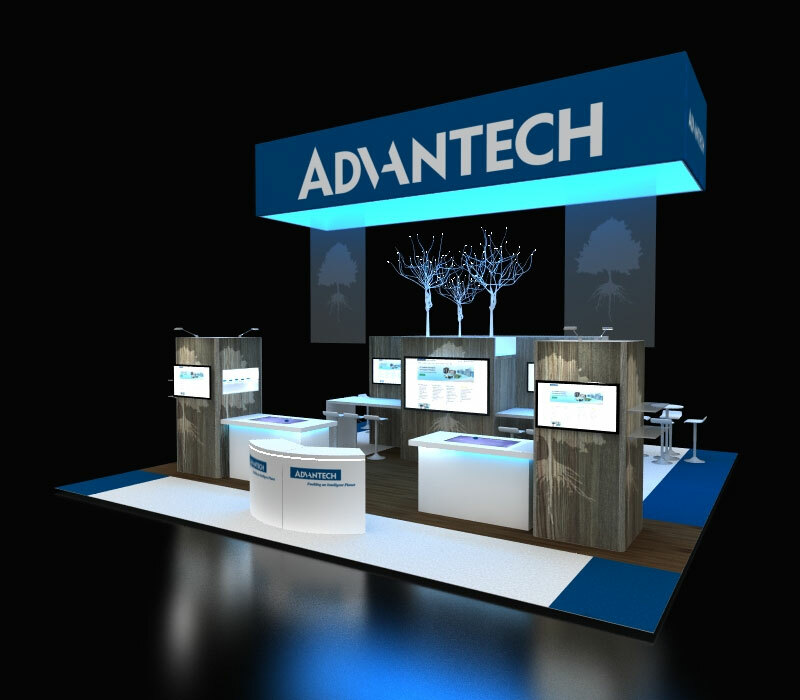 Captivate your audience with artisan-like elements including hanging sign structures and creative lighting. 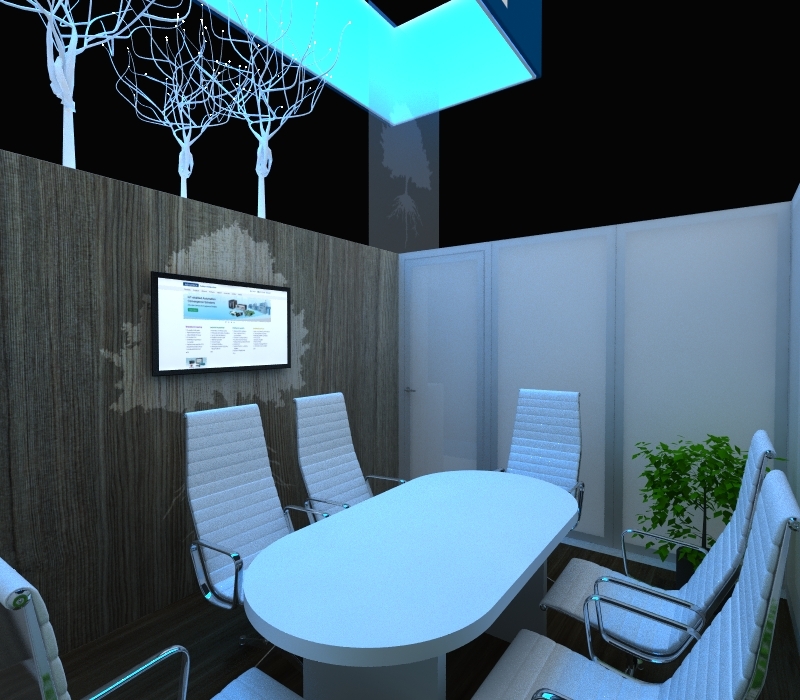 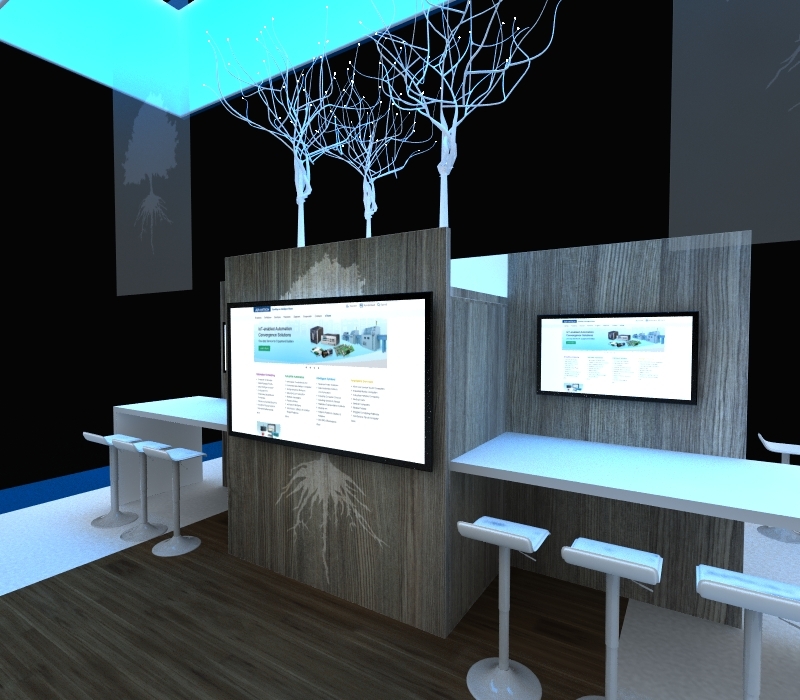 This booth gives you the perfect blend of natural elements and innovative technology. 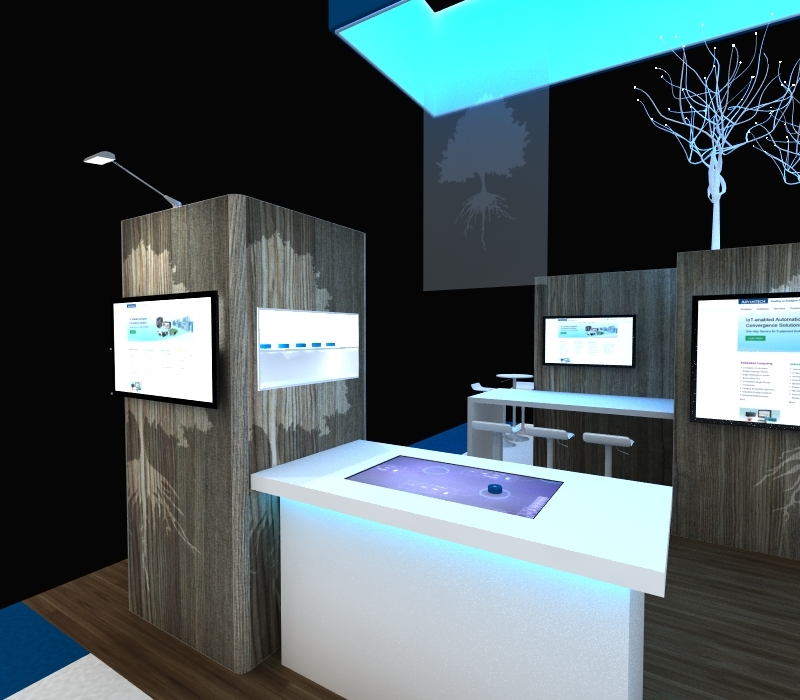 You can have interactive demonstrations with the custom touchscreen countertops. 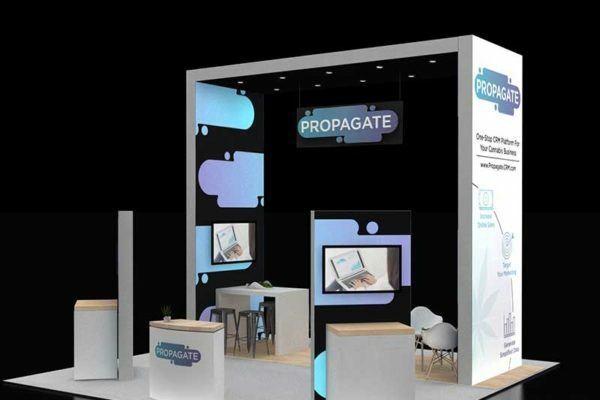 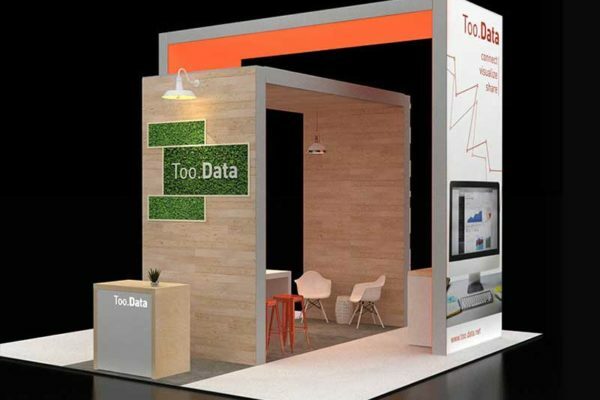 This booth creates a welcoming atmosphere with the mix of natural elements like the graphic-printed wood kiosk stations and the faux wood flooring. 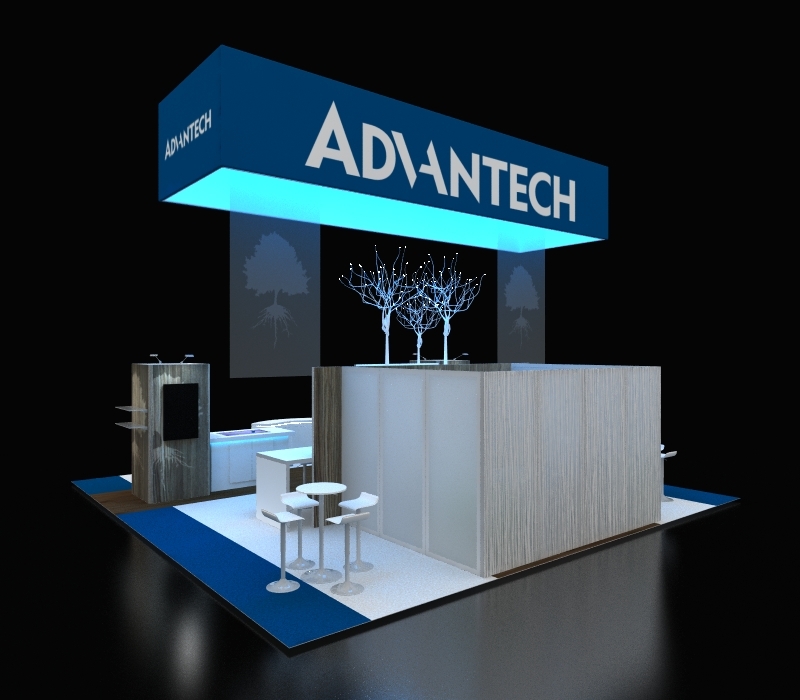 All design elements in this booth can be custom designed to fit your company's wants and needs.